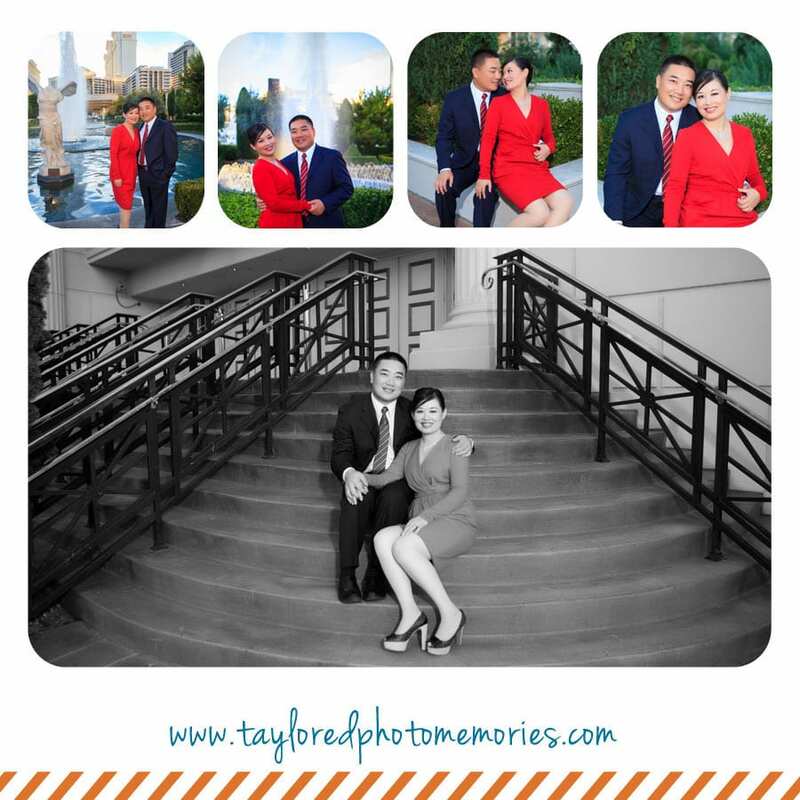 Sophia & Dawn met years ago in Beijing, China but have since settled in Los Angeles. They chose to do an elopement on the Las Vegas Strip at the Little Church of Las Vegas and then chose to embark on a photo walking tour on the Strip for some fun and creative wedding photo ops. After switching from Sophia’s white dress to a beautiful red number, we met up at the Bellagio to start the photo walking tour on the strip. Of course, a memorable night in Las Vegas has to include the Bellagio Fountains and Caesars Palace – two of the most iconic, and stunning, destinations Las Vegas Boulevard. After we completed these poses, we met up with friends to celebrate at Jean George Steakhouse at Aria Resort & Casino. 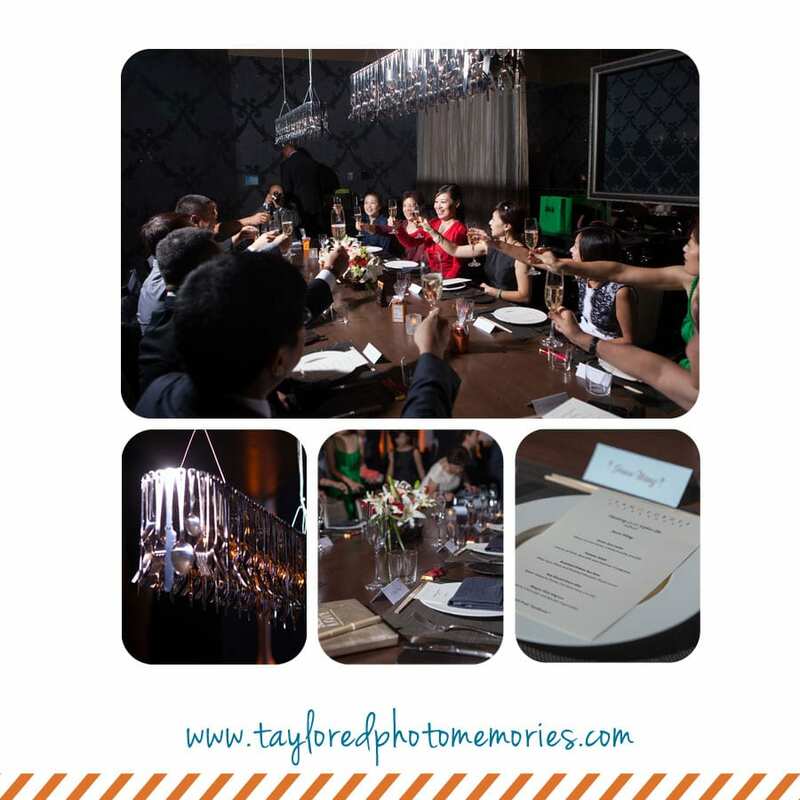 This fun wedding session is exactly what Taylored Photo Memories specializes in – spontaneous with a dash of adventure. Choosing the ease of getting married in a chapel in Las Vegas and topping it off with a fun photo walking tour on the Strip is a perfect choice for your Las Vegas wedding day!